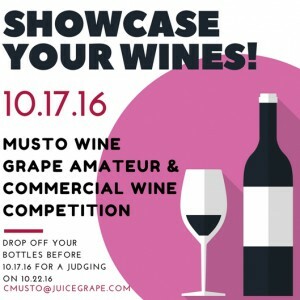 Show Off You Winemaking Skills at the Musto Wine Grape Company, LLC.’s Winemaker Amateur & Commercial Winemaking Competition! The Annual Musto Wine Grape Company Amateur & Commercial Wine Competition will be held October 22, 2016. Your wines will be judged by some of the best wine judges in New England. Each entry will have detailed feedback to help further improve your winemaking skills. 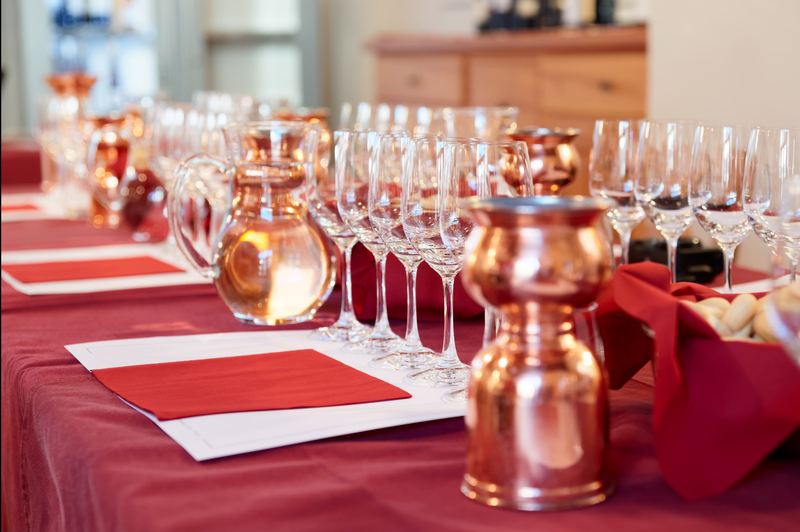 Amateur or commercial wine entries will compete for, gold, silver & bronze medals. Best of Show medal will also be awarded. Amateur entries will compete against amateur entries and the same holds through for commercial entries. Each wine will be judged on its own merit. Medal awards will be decided by a group on competent wine judges selected by management of the Musto Wine Grape Company. All entrants will receive judging notes for each wine entered. Entry information can be downloaded at www.juicegrape.com. For a single wine the entry fee will be $10.00 and $8.00 each for 2 or more entries submitted at the same time. There is no limit to the number of entries. Make checks payable to Musto Wine Grape Company and U.S. dollars only. This wine competition is open to any amateur winemaker, commercial winemaker or winery. Wine entry must have been made by a winemaker, not purchased and re-bottled and used as an amateur wine maker entry. Judge may not judge and wine they have submitted. Wine entry(s) are to be delivered or shipped to the above stated location before the closing time. 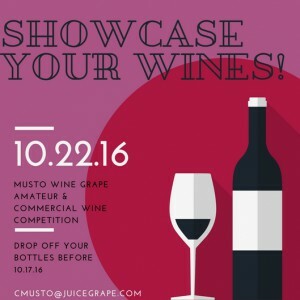 A wine entry is a still bottle of wine and submitted for entry in a 750ml wine bottle. Ice wines or late harvest wines may be submitted in a 375ml wine bottle. Sparkling wines must be submitted in a champagne style bottle with the proper closure. All bottle entries must be free of any labeling or identifying markings. However, each must be marked with Category number, winemaker(s) name, wine ingredients and percentages & vintage. All shipments are the entrant’s responsibility therefore packaging must be able to withstand considerable handling and shipping costs are the entrant’s responsibility. COD’s or postage due will be rejected. If an entry bottle is received damaged, we will make every effort to contact the entrant and notify them of the damage. Check with your shipper as to requirements for shipping wine. Wines entries made from grapes and juice based wines will be judged and awarded in their own category. Wine entries made from kits and fresh processed and concentrated juices will be judged and awarded in a kit category. Judging of entry wines will be performed on a 20 point award system. Each wine will be judged on its own merits and not compared to any others in its category. Gold, Silver and Bronze medals will be awarded within each category and based on the 20 point system. The Best of Show award(s) will be those wine entries that are superior within a given category. All award decisions made by the judges and/or sponsors, are final. 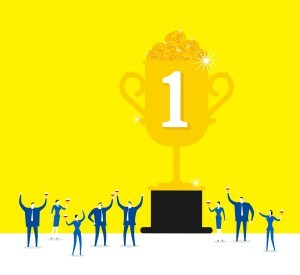 Awards will be given to the winners at the Award’s Dinner at the above stated date and time. All entrants will receive a copy of the judging worksheet and a copy of the winning results. When paying by check, attach the check (payable to Musto Wine Grape Company) to the entry form and mail to Musto Wine Grape 101 Reserve Rd, Hartford, CT 06114 or Winemaker Products 497 Bic Drive, Milford, CT 06461. The entry form and fee will be held until the wine(s) are received. Do not send cash with the entry forms. Please keep a copy of the completed entry forms for your records. Do not send wine entry form and fee(s) with the wine(s). Forms must mailed separately. Write on each box, SAMPLE MATERIALS, NOT FOR RESALE, GLASS ENCLOSED. If sending more than one box, indicate that they are “Box 1 of 2 and Box 2 of 2, etc. If you’re delivering you own entries, we can only accept them Monday to Friday, 10:00AM to 4:00PM. The Milford location is closed on Saturday and Sundays. The Hartford location will be open on Saturday and Sundays and must be dropped off before 2:00PM. Wine entries are not to be dropped off after closing hours. 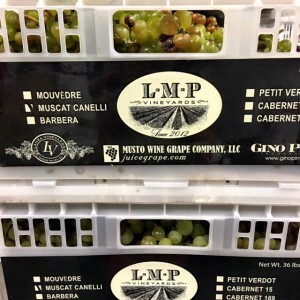 Musto Wine Grape Company nor Winemaker Products, LLC will not be responsible of missing packages housing wine entries. Good Morning from Paso Robles Winemakers! Our crew is working very hard to bring you some of the finest wine grapes Paso Robles has to offer. 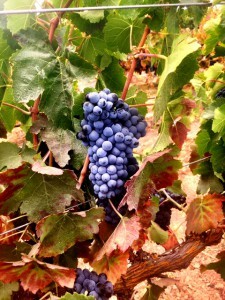 Yesterday and Today we are harvesting Merlot and Syrah. They are being picked around 24-26 Brix. They should be arriving in Hartford, CT around 9/23/2016. We are still awaiting the Petite Sirah which is currently at 22 Brix. We are thinking it will harvest around 9/23. Make sure to place your orders! 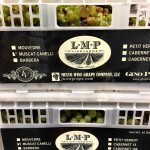 These are fantastic grapes for making Award Winning Wines! Paso Robles is one of California’s emerging AVA’s. It has grown from a sleepy town to a high end wine growing and wine producing region. Paso Robles Wine Country is ideally located along California’s Central Coast, conveniently between San Francisco and Los Angeles. Over the past decade the number of wineries has more than tripled, and Paso Robles is now home to nearly 200 wineries. 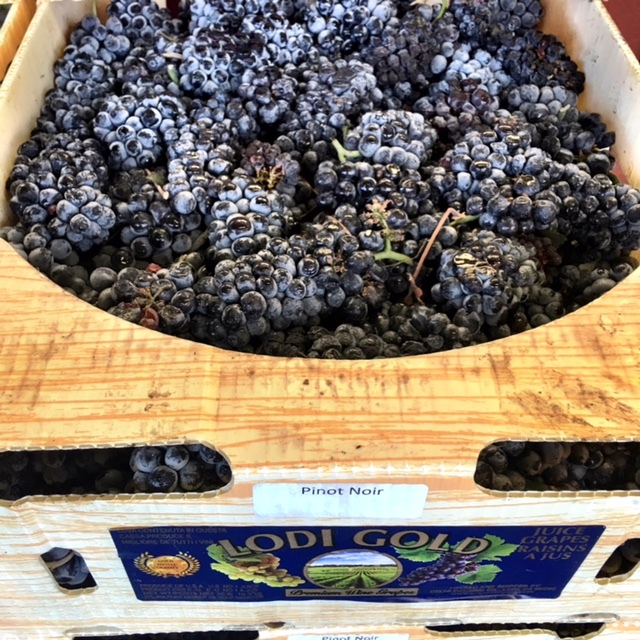 Winemaking on the Central Coast began when the Franciscan Friars traveled through California establishing Missions. The Missionaries started planting grapes in 1790. You can still see these vines growing today. 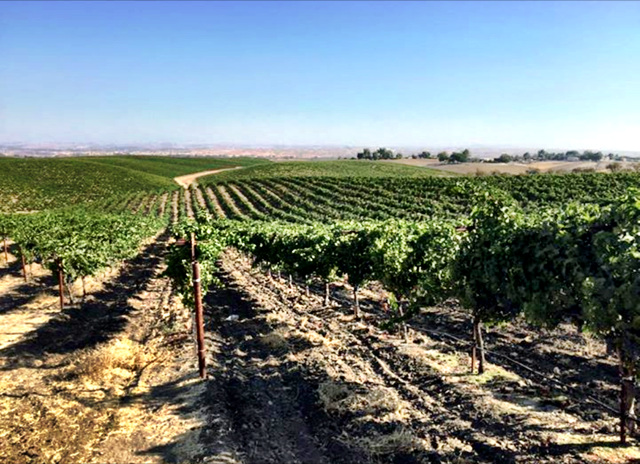 Since the original plantings of the Missionaries, Paso Robles has become a top destination for farmers to plant grapes. Many famous people have planted vineyards and started wineries in this region. For example, Ignace Paderewski, the Polish pianist purchased 2,000 acres in the 1920’s. He planted Petite Sirah and Zinfandel and eventually opened York Mountain Winery; which is still in existence today. Paso Robles is comprised of 26,000 acres of wine grapes. 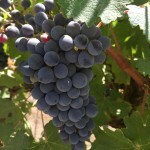 It is one of the fastest growing wine regions in California and on the Central Coast. It has a diverse topography. There are rivers, roiling hills, flat lands, and mountains. The soil is comprised of bedrock, weather granite, marine sedimentary rocks, and volcanic rocks. Because of the many different soil components one vineyard block could contain several different soil types. In terms of grapes, Paso Robles is known for growing Zinfandel, but has gained recognition for Bordeaux and Rhone varieties. The AVA likes to produce non-traditional blends. It is a valley that doesn’t follow the rules and expectations of tradition winemaking. The winemakers of Paso Robles like to make their own rules. Musto Wine Grape Company will be offering the following wine grapes from Paso Robles: Cabernet Sauvignon, Cabernet Franc, Merlot, Pinot Noir, Petite Sirah, Syrah, Zinfandel, and Old Vine Zinfandel. 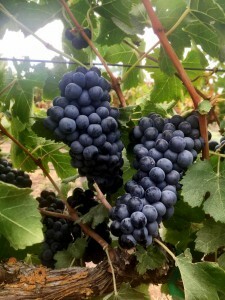 The Paso Petite Sirah resides on the East side of Paso Robles. Days are hot for a longer period of time than the west side but the temperature will drop down to 50 degrees and below at night. The grapes ripen while maturing slowly to produce a wine with aromas of blueberry, raspberry, and black coffee. The wines from this area show deep color, are full bodied, and have a smooth tannic structure. 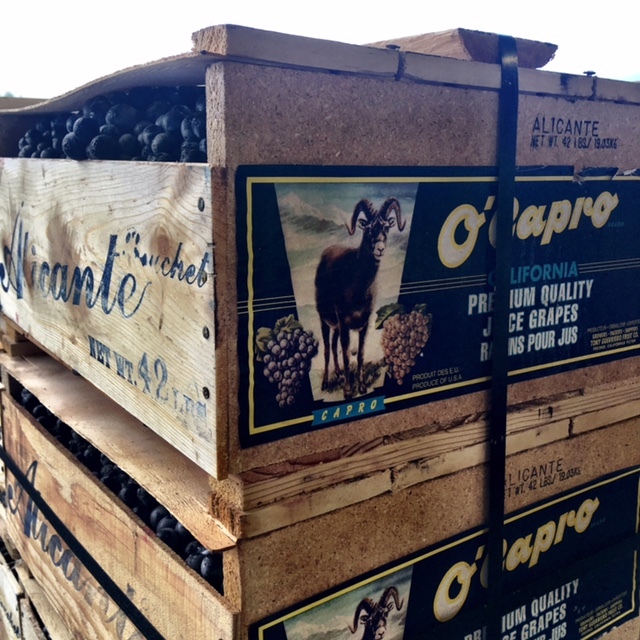 The Paso Merlot, and Syrah are sourced from Tolosa Winery from their “Meeker Vineyard” blocks. 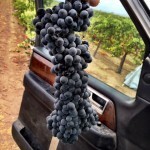 The Syrah is the Shenandoah Clone and on 5BB rootstock. Finally, the Merlot is Clone 3 and on 5BB rootstock. The Paso Zinfandel and Old Vine Zinfandel are sourced from the Steinbeck Vineyard. The Zinfandel resides on east-west rolling hills. The soils are calcareous and are farmed by a multiple generation vintner. The Pinot Noir is sourced from Opolo Vineyards of Paso Robles. The Pinot Noir vineyards are located in the Willow Creek AVA. This region cools down earlier than the East side. 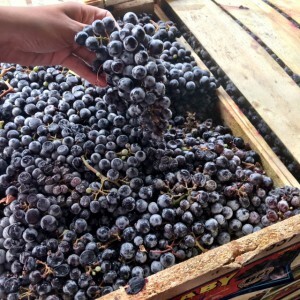 The area is known for getting any varietal ripe and mature. The soil is very calcareous which produces a very elegant Pinot Noir. 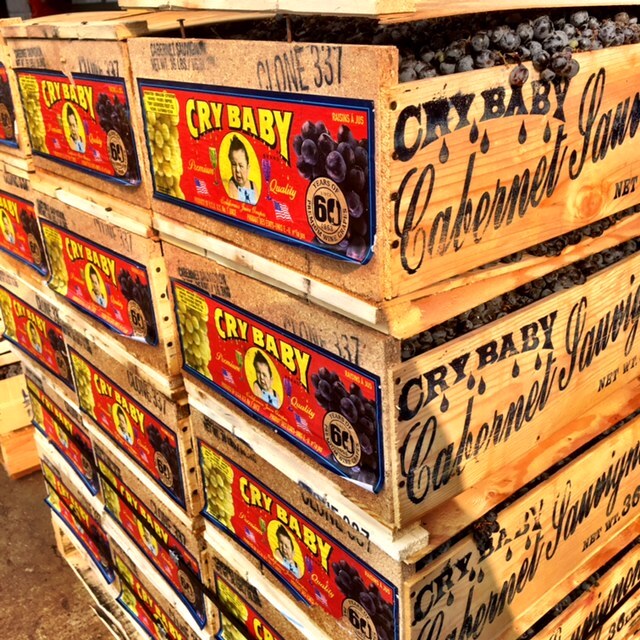 The Cabernet is sourced from Parrish Templeton Vineyards. These grapes go to wineries such as Opolo and Justin. It is located in the “Pomar Junction” area of the Templeton gap. The soil consists of clay topsoil, over-lying a fractured calcareous base. 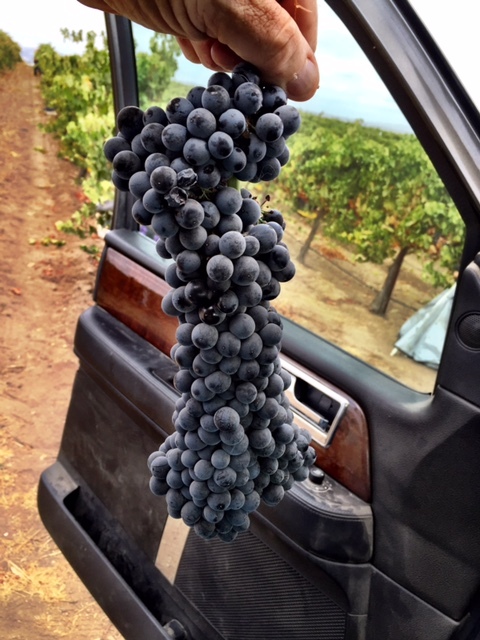 This vineyard was created to produce high end Cabernet. 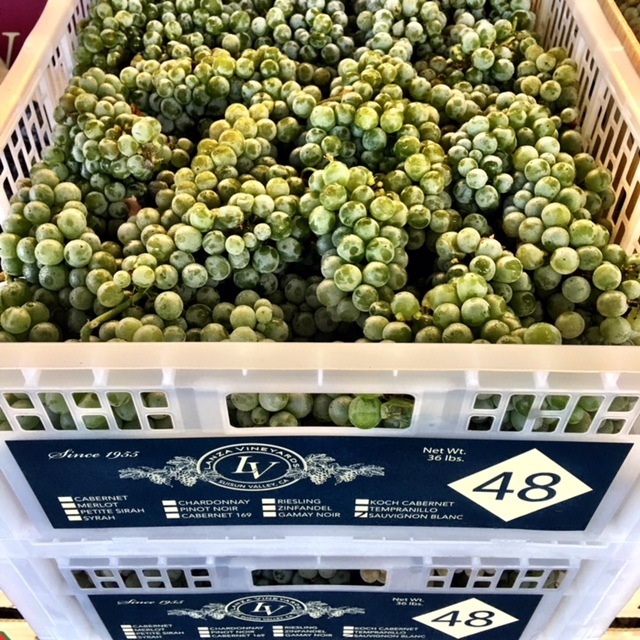 We are currently taking orders for ALL Paso Robles grapes. 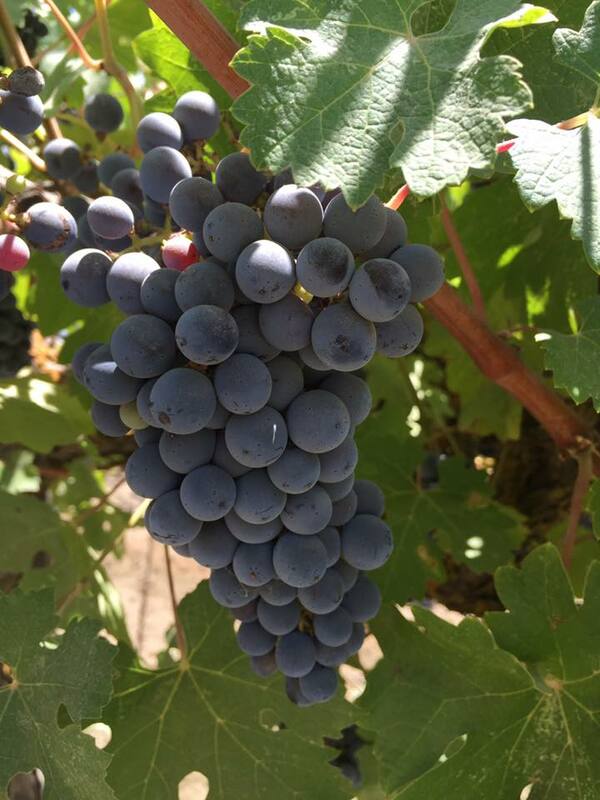 The Pinot Noir will be arriving on 9/9/16. Make sure to secure your grapes today!